The IDE provides smart code completion, syntax highlighting, extended code formatting configuration, on-the-fly error checking, code folding, supports language mixtures and more. Automated refactorings that treat your code with care, helping to make global project settings easily and safely. Hundreds of code inspections verify your code as you type and inspect the whole project for possible errors or code smells. Quick-fixes for most inspections make it easy to fix or improve the code instantly. Alt+Enter shows appropriate options for each inspection. PhpStorm helps you get around your code more efficiently and save time when working with large projects. Jump to a method, function or variable definition in just one click, or search for its usages. PhpStorm provides powerful built-in tools for debugging, testing and profiling your applications. Zero-configuration debugging makes it really easy to debug your PHP applications. Besides, PhpStorm provides numerous options for debugging your PHP code with Visual Debugger, so you can: inspect variables and user-defined watches, set breakpoints and evaluate an expression in runtime, debug remote applications, debug a page in multiple sessions simultaneously, and more. You can develop PHPUnit tests right in PhpStorm and run them instantly from a directory, file or class, by using the context menu options. Code Coverage from PHPUnit shows how much of your code is covered with tests. You can profile your applications with Xdebug or Zend Debugger and check aggregated reports in PhpStorm. All the cutting edge web development technologies are supported including HTML5, CSS, SASS,SCSS, LESS, CoffeeScript, ECMAScript Harmony, Jade templates, etc. Live Edit gives you an opportunity to see all the changes instantly in the browser without refreshing the page. PhpStorm provides a streamlined experience for the full development cycle with new languages such as TypeScript, CoffeeScript, and Dart. 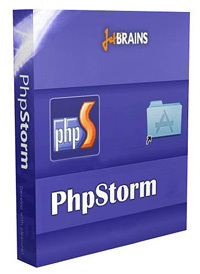 PhpStorm is built on top of the open-source IntelliJ Platform, which we at JetBrains have been developing and perfecting for over 15 years. Enjoy the fine-tuned, highly customizable experience it provides to fit your development workflow. PhpStorm provides a unified UI for working with many popular Version Control Systems, ensuring a consistent user experience across git, GitHub, SVN, Mercurial, and Perforce. PhpStorm provides tools and code assistance features for working with databases and SQL in your projects. Connect to databases, edit schemas and table data, run queries, and even analyze schemas with UML diagrams. SQL code can be injected to other languages or edited in SQL Editor, with syntax highlighting, smart code completion, on-the-fly code analysis, code formatting and navigation available. Perform many routine tasks right from the IDE with support for Vagrant support, Docker, Composer, and more.